The remote nature of much of Oil Search’s areas of operation and factors such as dense, steep jungle terrain and Arctic environments present unique challenges for safety management. Our complex supply chain involves multiple contractors who transport personnel and equipment using rivers, bush tracks, ice roads and helicopters. Occasionally, these challenges are compounded by the risk of natural disasters, including landslips, flooding and earthquakes. The Oil Search safety management approach focuses on the cornerstone principles of strong safety leadership, planning and risk management. The goal of our safety management strategy is to have the right systems and processes in place to always keep our employees, contractors, host and surrounding communities safe. We create a carefully controlled work environment where equipment is well-maintained, work procedures ensure safe operations and staff are well-trained. This includes being prepared for emergencies. Each year, Oil Search’s internal audit function develops an annual Health, Safety and Environment audit plan. This is reviewed and approved by the Board Health, Safety and Sustainability Committee (HSSC). The audit plan is focused on key business risks identified through risk assessments, incidents, past audits and new activities. Audits are completed by suitable and qualified personnel, with actions assigned for completion. Audit findings are reviewed by the Board HSSC, which also tracks the closure of high-risk action items. Oil Search’s personal safety management approach focuses on the prevention of common workplace injuries. We promote personal safety through feedback and discussion, hazard analysis, audits and drills, and are committed to continually improving safety performance. We track leading and lagging safety indicators and regularly review and update Company procedures and practices. Our leaders at all levels demonstrate their commitment to safety through active involvement with their teams – including regular site visits – and by encouraging employee participation and innovation. All employees are members of a Health, Safety and Sustainability (HSS) Group and monthly HSS Group meetings are the main way they engage on HSS performance and initiatives. The Group structure of cascading forums and the associated communications ensure issues reach the appropriate level of management. The structure starts with HSS Group 1. Chaired by our Managing Director, Group 1 is responsible for reporting and evaluating material health, safety, environment, security and social responsibility issues and providing updates to the Board HSSC. Oil Search’s ‘10 Life Saving Rules’ outline our expectations for conducting activities such as working at height and working around suspended loads. These rules are supported by procedures that address related topics such as safety risk assessments and key safety risk areas. We regularly reinforce safety messages through internal communication. Regular mandatory training for employees and contractors ensures they have the knowledge and skills to identify safety hazards and respond appropriately. In PNG, we acknowledge outstanding safety behaviour through a weekly safety awards programme. We expect all employees and contractors to assess jobs for potential risks, before starting and while completing the task. Everyone is empowered to stop work if they have safety concerns. Contractors’ participation in safety management is essential for achieving incident-free operations. Several measures ensure they operate to the same safety standards and objectives as Oil Search. These include a contractual requirement to abide by the principles of our Health, Safety, Environment and Security (HSES) Policy PDF, 105.02 KB and a mandatory safety induction for all contractor staff. We monitor contractor safety against our internal safety standards and applicable regulation and industry benchmarks. For high-risk activities, we expect contractors to have a comprehensive safety management system. We include contractor safety performance in our overall safety statistics and in our Short-Term Incentive Scheme. Most of the work conducted in PNG by contractors is undertaken by landowner companies (Lancos) working either directly for us or for other contractors we engage. As they often require additional safety support and guidance, we have a number of controls and capacity-building programmes and run a Lanco Safety Incentive Scheme. Process safety at Oil Search focuses on hydrocarbon loss of containment hazards associated with drilling and production activities. Oil Search has developed a Process Safety Framework to manage the hazards that can lead to loss of life, environmental damage, and loss of assets due to toxic exposures, fires or explosions. 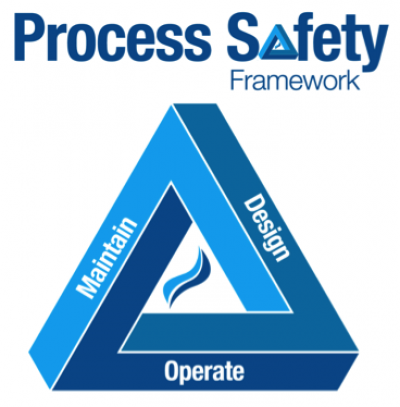 The goal of process safety management is to ensure robust controls are in place to mitigate process safety hazards. Demonstrating that effective preventative and mitigating controls are in place provides assurance that process safety is being properly managed. Design: Designing and engineering our facilities, pipelines and wells so they are inherently safe. Maintain: Inspecting, testing and maintaining our equipment so our operations run safely and reliably. Operate: Operating our facilities, pipelines, wells and rigs as they were designed to be run i.e. within the safety margins set by the designers. Leadership — including commitment and responsibility, legislative compliance, competency, workforce involvement and communication. Risk identification and assessment — including hazard identification, risk assessments and documentation, records and knowledge management. Risk management — including procedures, management of change, control of work and contractor management. Review and improvement — including incident reporting and investigation, audit, assurance and management review. Ensuring our staff are fully aware of the safety implications of all elements of their roles is a key part of maintaining safe operations. Our Competency Assurance Programme outlines the competencies required for each safety-critical role. Any gaps that we identify inform the direction and content of related training materials. Bowtie diagrams to illustrate safety-critical control measures. Real time monitoring of equipment performance to ensure our plants operate safely and reliably within their design operating envelopes. Compliance with schedules for monitoring well pressures to ensure the mechanical integrity of our wells (Tier 4 measure). We regularly benchmark our performance against members of the IOGP and conduct both internal and independent assurance activities around our process safety performance. See Performance and Remuneration for more information. Our goal is to create a controlled work environment where our people and assets are safe and our impacts on the environment and host communities are minimised. Contingency measures are important in case of an unplanned event, and having a robust emergency and crisis response helps us to minimise the impact of such an event. Our Crisis, Emergency and Incident Management System (CEIMS) provides a consistent, Company-wide process to respond to adverse events, minimising any negative impacts. The system includes pre-defined protocols for Incident and Emergency Management Teams, role descriptions, and online training programmes. It provides a secure, 24/7 web-based communication and information-sharing platform that enables our people to participate virtually in a response, and supports detailed record keeping. The system consists of a four-tiered, cross-functional response team that is assembled based on the severity of an actual or potential event. The tiered approach enables appropriate resources to provide a timely response to an event, so strategies can be defined, and actions undertaken, to contain an event and prevent escalation. The focus of each tier aligns with the team’s capability, the severity of the event and which part of our Company is affected. If an incident requires an emergency response, teams based at each site respond immediately to mitigate its severity. Where an event is likely to affect other sites, site-based emergency teams use the CEIMS to coordinate a response. Standardised notification, activation thresholds and live updates in the CEIMS Severity Matrix ensure consistency, objectivity, and real time responses when we assess and manage events. Our operations face security threats that include violent criminal activity and civil unrest in PNG. These represent risks to our Company, members of our workforce and project area communities. Identifying and mitigating risks, analysing their criticality, and limiting vulnerabilities to protect our workforce, assets and operations. Our robust assessment methodology provides a consistent, objective threat assessment. It uses qualitative and quantitative descriptions of threat levels and weightings to inform the impact of the related security controls and responses and how we use them. Each operating site has its own Security Management Plan. Our strong and enduring relationships with project area communities – including sustainable development activities – underpin our ability to apply this risk-based, intelligence-led approach to identifying, analysing and responding to threats. See our annual VPSHR Report for more information on how we engage with security. Oil Search is committed to protecting and improving the health of our employees and contractors. Our Medical Service is built on a Company-wide ethos that the success of our business is dependent on the health and wellness of our people. Our Medical and Occupational Health Service team comprises of professionals who oversee the management of all aspects of health hazards and risks, including workplace health, occupational and environmental hygiene, medical emergencies and management of ill health, fitness-for-work and health promotion. Well-equipped clinics at project sites in PNG provide our personnel with medical and healthcare that matches international standards. Our operations in Alaska also have access to medical services that are managed by third-parties. We ensure our service is inclusive, reliable and evidence-based by using a transparent governance process. The Oil Search Health Risk Management Programme outlines how we identify and assess risks and health hazards that may affect our workforce, local communities or the public. It covers the assessment, management and communication of occupational and environmental risks, including the identification and classification of health hazards. Our company-wide employee wellbeing programme provides staff and contractors with the information and support they need to make informed health decisions and is closely aligned with our fitness for work requirements. The programme receives specialist input as required. It promotes a proactive and positive approach to health management and, through structured interventions, supports high-risk individuals. Oil Search manages its own medical emergency response and patient evacuation system in PNG and, with the assistance of internal and external logistics providers, our response is equal to international best practice. Senior staff with advanced clinical skills and evacuation experience maintain the high level of readiness required for swift leadership in emergency care and evacuation. Where local government healthcare services are challenged, we treat ill or injured community members, including assistance with medical evacuations. See Community Health for further information about our community health initiatives and activities, and those of the Oil Search Foundation.